I just returned from a Beauty and the Beast press trip in Los Angeles so it’s excited to share this awesome giveaway with you all! We have a great prize pack for all you Beauty and the Beast fans! Which prize are you most excited to win? The new live action Beauty and the Beast is probably the most highly anticipated film of the year. It finally hits theaters everywhere next week – March 17th, 2017! 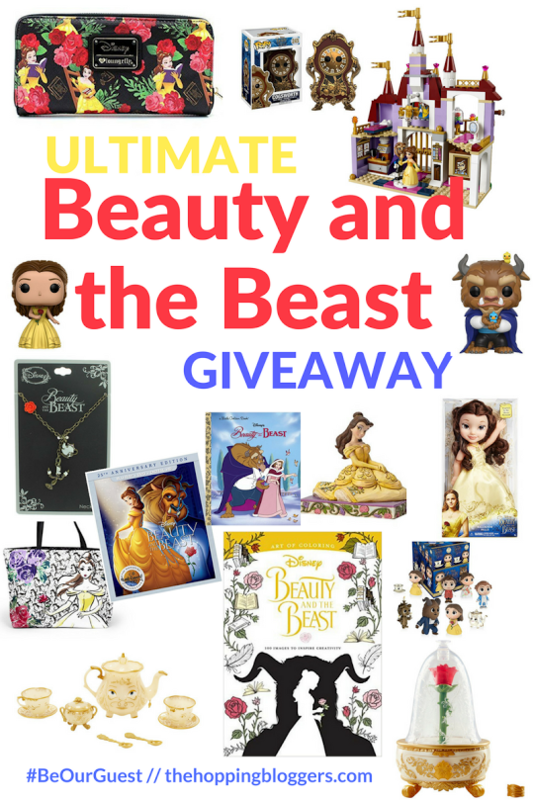 In order to help celebrate, The Hopping Bloggers have come together and created the ULTIMATE Beauty and the Beast prize pack that any fan will be excited to win! Enter to win this Beauty and the Beast Prize Pack using the form below. Giveaway is open to US only, ages 18 and older. Giveaway ends March 24, 2017 at 11:59 pm EST. Are you a brand? Contact us to host a giveaway or promotion your product/services! melanie@giveawaybandit.com.